Ellen Swallow was born on December 3, 1842, in Dunstable, Massachusetts. Both parents were teachers, allowing her to be schooled at home. Eventually she sought a higher education, which led her to Vassar College. In 1870 she graduated from Vassar and looked for another educational challenge. Massachusetts Institute of Technology had recently opened and she applied; she was the first woman accepted. She earned a B.S. degree from MIT: although Swallow completed the coursework for a doctoral degree in chemistry, the school refused to grant the degree to a woman. While a student at MIT she conducted an extensive survey of the state water system. This work helped establish guidelines for the first state water ­quality standards in the United States. Swallow then studied mineralogy with Dr. Robert Richards. They married in 1875, two years after they began working together. He was an ardent supporter of her work throughout their marriage. Richards would work at MIT for the remainder of her career. She established a women’s laboratory at the school in 1876 to be used by women taking science courses. (Because women were not considered part of the regular student body, they were excluded from laboratory work.). Richards wrote extensively about sanitation in the home, nutrition, and health issues. She began a series of lectures in 1899 to promote this new area, which she called home economics. Her own home was turned into a type of laboratory where she studied ventilation and heating systems and tested innovations. She tried to help people understand how the environment in which they lived affected their lives and, in turn, was changed by them. Thus she is one of the first pioneers in human ecology. 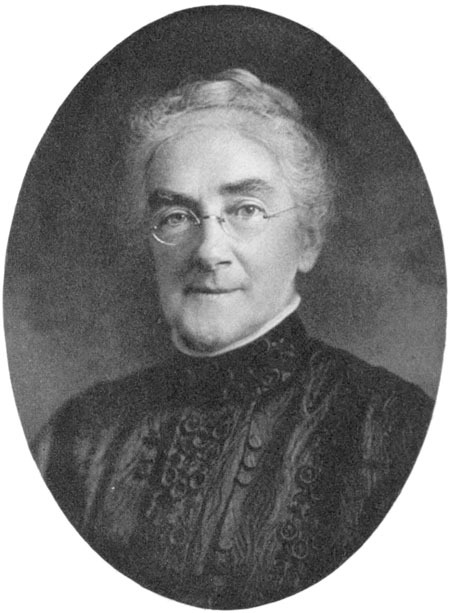 Richards continued to teach at MIT until she died in 1911. Richards was an indefatigable champion for the quality of the environment. Although she recognized the interrelationships between people and their environment, her views were not widely accepted until many years later. During her tenure at MIT, Richards focused on women’s education. Her lab provided women with a place to expand their scientific knowledge until they finally gained full rights to an education at MIT in 1883. Some critics condemned her approach to science education for women who did not attend college as a distraction that might reduce time spent on cooking and cleaning. Richards recognized that women controlled the home environment and sought to help them understand science in that context. Her public lectures in the new field of home economics introduced women to ideas such as good nutrition, the health risks of the tight clothing that was fashionable during her time, and sanitation of air, water, and food. Richards’s water surveys indirectly affected thousands of people as they were the basis for setting government standards for water cleanliness. The first modern sewage­treatment plants built to meet the standards led to improved quality of drinking water throughout Massachusetts. Her work on environmental systems was a precursor to our current understanding of the complexity of the ecosystem. Finally, Richards was instrumental in founding three influential organizations. She helped establish the research facility now called the Marine Biological Laboratory at Woods Hole in Massachusetts; a collegiate alumnae association that became today’s American Association of University Women; and the American Home Economics Association. The laboratory at Woods Hole would eventually host important scientists and research work including BARBARA MCCLINTOCK, JAMES D. WATSON, and the Human Genome Project.